This list will always be kept updated with new tips. Are you looking to use using social media to raise awareness, branding and word of mouth? Social media is becoming a very important medium for local businesses to get new clients and customers. Say you want to research a new restaurant in your city, read reviews about that hotel you want to check into or find a local event to participate in. Where do you go? Facebook, right? This is because they want to become an important part of the local marketing mix and attract more advertising revenue from local businesses. Facebook and other social networks have been launching new products and features to help businesses reach out to a local audience. But not everyone is aware of all these new features or knows how to use them to get new customers. 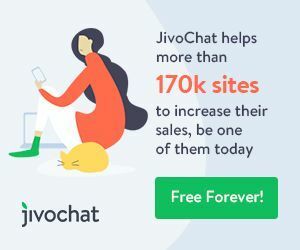 In this article, I list all the latest features launched by social media networks for local businesses – and some evergreen tips, too – so you can grow your local business by leaps and bounds. Yes, Google+ Business Pages have been around for a while, and I believe they will continue to remain one of the most important features of the now defunct Google+ social network, especially for local businesses who depend on Google for a lot of their business leads. Google has recently deprecated the value of Google+ Business Pages, and Miriam Ellis reports on Moz that the Google Places API has stopped delivering Google+ Local page URLs and is rendering Maps-based URLs, instead. 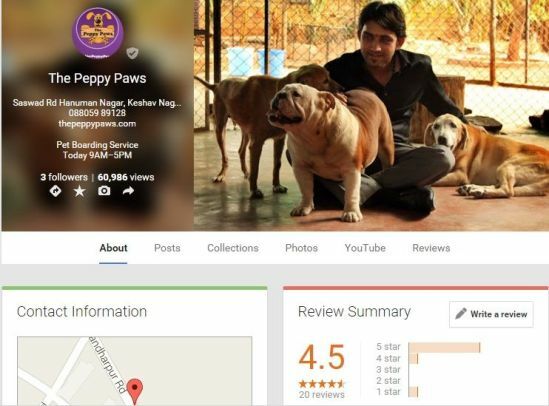 However, customers can and do still write reviews for businesses on Google+, and this is one feature of your business presence that can make or break your online reputation. Having a lot of 5-star reviews can only be good for your local business. For those who’ve created a significant Google+ following on their business pages, I’ve outlined some ways to leverage your Google+ presence. You might find them useful to turn that Google+ Business Page into a valuable resource once again. If your business is a retail store, restaurant, cafe, or hotel, your Google+ Business Listing will remain a crucial part of your online presence for some time to come. When you create a Facebook page for your business, you have the option of creating either a brand (corporate) page or a local page. There are compelling reasons why you should create a Local page instead of a Brand page. According to a study by Mainstay Salire, in collaboration with Hearsay Social, Facebook pages for local branches of a business generate greater reach and engagement than their corporate counterparts. The study also found that, on average, a Facebook post from a local page reaches five times the percentage of fans as a post from a corporate page, and local posts see engagement from eight times as many of the fans reached compared to corporate posts. The study recommends that, if your brand has local stores in different cities, you should consider maintaining Facebook pages for local stores or branches in addition to a main corporate page. Facebook claims its users are performing 1 billion search queries per day and their queries mostly revolve around local interests pertaining to their city. 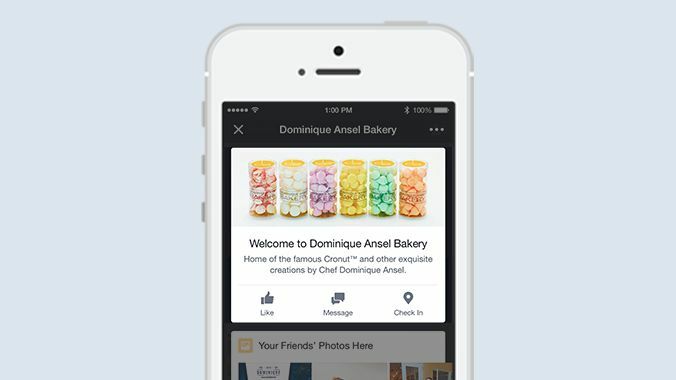 Thanks to the power of Facebook’s Graph Search feature, this social network is working towards becoming a leader in connecting people to their favorite local businesses. If your local business isn’t on Facebook, your ideal customers won’t be able to find you, says this post on PostPlanner. 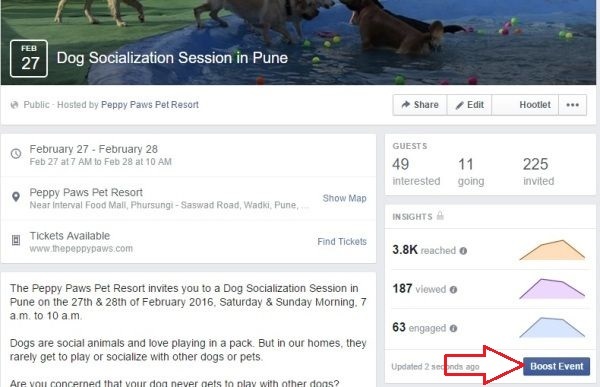 They also have some useful tips for optimizing your Facebook page for Graph Search, that include making sure your Page’s About section contains relevant words that describe your business, as well as words that people are searching for. They also recommend that you offer an incentive for people to check-in when they visit your establishment, because the more people check in at your location, the easier it will be to find on Graph Search. Also use your city or town’s name in your Facebook Vanity URL, so that it shows up when someone searches for establishments from your city. 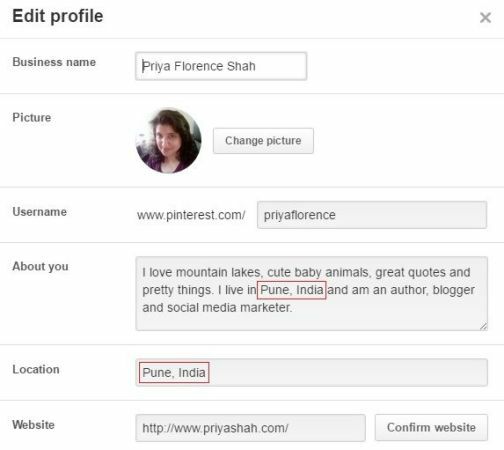 For instance, my Facebook Page vanity url is https://www.facebook.com/blogbrandz.pune/ where Pune is the name of my city. Now your Vanity URL will mean even more on Facebook, because they’re bringing Page usernames to the forefront. A Page’s username and vanity URL are the same. Soon, your username will show up directly on your Page, underneath your Page title with an @ symbol before it. Facebook is also rolling out dark gray verified checkmarks for local business pages in certain countries. This could make it easier for local business pages to gain trust with consumers and fans. You can also verify your Page with a business document, by uploading a picture of an official document showing your business’ name and address. This Facebook Help Center entry explains how to get a verified checkmark for your local business page. Facebook’s Page Responsiveness feature for local businesses lets fans see how quickly customers can expect a response from their favorite pages. You will only have access to this feature if you have allowed fans to contact the Page. Of course, once you enable messaging for your Page, people will expect you to respond. So turn on messaging only when you can commit to responding to messages. So how do you make use of this feature to show your fans and customers that you really care? Simple. Be more responsive and reply to fan messages and queries pronto. If you respond, on average, in less than 5 minutes, Facebook will display an icon like the one below on your page. As a local business in the food or hospitality industry, you can gain an advantage over your local competitors if you show your fans that you are super responsive to their queries and concerns. 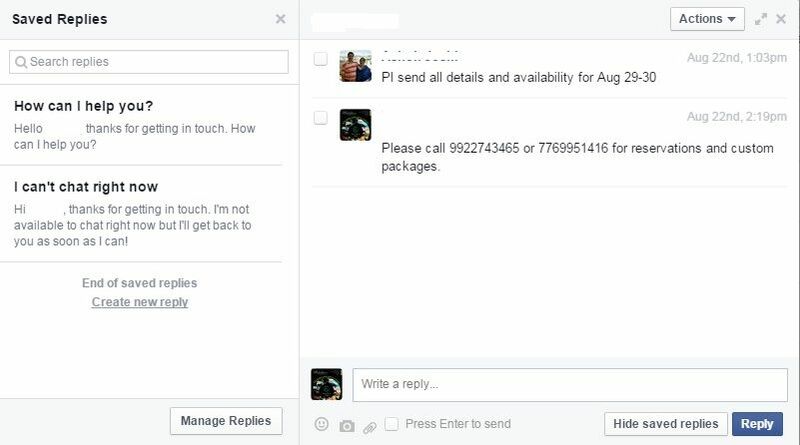 Facebook also allows Page admins to reply with private messages, to comments left on their Page. This can help you respond to personal requests and handle sensitive queries or customer-specific information more effectively. Facebook’s messaging tips recommend that you use private replies for messages including billing questions, sensitive customer complaints, order statuses and other topics that include personal information. Also read Facebook’s recommendations on using messaging for Pages most effectively. For general business questions and requests, where your public answers will be useful to other Page visitors, you can continue to reply publicly. According to Facebook, over one billion messages are sent between people and businesses on Messenger each month, and, as this article on Techcrunch reports, Facebook is adding even more tools for private messaging between business pages and their customers. 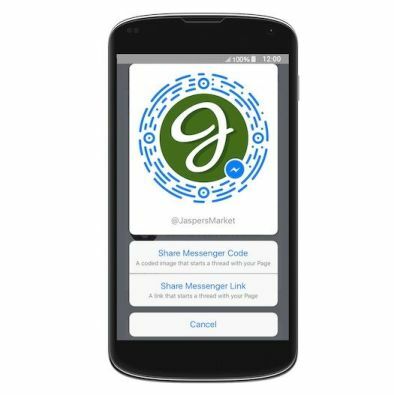 Businesses can use Messenger Links to make it fast and easy for people to start a message thread with them. Messenger Links are basically short, memorable URLs that take advantage of the Page’s username combined with Facebook’s own URL shortener. These will be in the format “m.me/username,” and when clicked, they will immediately open up a chat with the business in question in Facebook’s Messenger app. Messenger Codes will serve the same purpose of opening up chats, but are instead unique codes that people can scan in Facebook’s Messenger app using the camera on their phones. The codes can also be used in ads, websites and other marketing materials. These Messenger Code images for download are being delivered via the Page’s inbox. These are customizable notes from the business that appear in a new message thread before messages are sent. Businesses can use this text to greet people and set a friendly tone while letting people know what types of messages are expected. You can set and edit your greeting in your Page’s Message Settings. Do you get a lot of queries from fans about the same things, like your business address, hours of work and phone numbers? Facebook allows you to use canned responses or saved replies to respond quickly to high volumes of messages asking similar questions. When replying to customer queries, you can even add images and personalize your response so the customer doesn’t feel like they’re receiving a canned response. Just don’t overdo this as it will come across as impersonal and impolite if you don’t take the time to understand a customer’s concerns before you respond with a saved reply. For one-off questions from people, it’s better to send a personal reply. Facebook’s Local Awareness Ads allow you advertise cheaply by hyper-targeting people in a certain radius around your business. You can use Local Awareness Ads to target people who live near your local business and let your customers call you directly from the newsfeed. With a Local Awareness advert, just choose the distance around your business and the age and gender of potential customers that you want to reach. Click here for instructions on setting up a Local Awareness Ad. 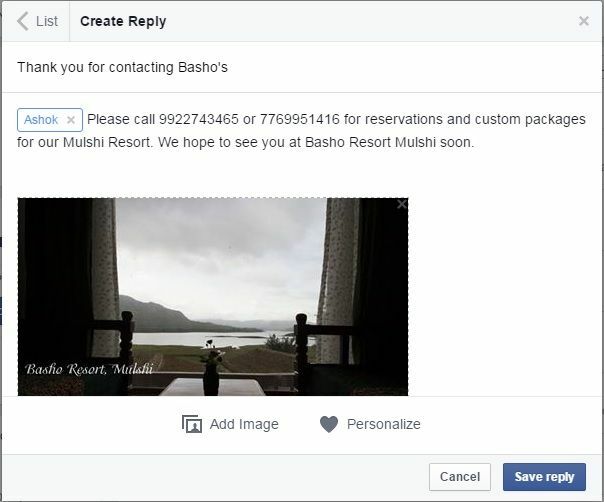 You can also use Facebook’s “Send Message” call-to-action button for Local Awareness Ads to let your customers start private conversations directly from Newsfeed ads. They also have an option to include a “Get Directions” Call-To-Action button. According to Rodney Hess, the only problem with using Local Awareness Ads is that they offer limited segmentation, allowing you to only target location, age and gender. Since Facebook bills the ads on a Cost Per Thousand Impressions (CPM) model, it can lead to irrelevant impressions for businesses in a very niche market. However, considering the fact that 60 percent of users tend to view a local business’s Facebook page and read the reviews before visiting the business itself, these ads are an economical and easy way to target people near your business. For restaurants, retail stores and other businesses that depend on a regular influx of local customers, Local Awareness Ads, can become an important part of your social media campaign. If you have a business that depends on regular walk-ins, you can promote it using local events. Facebook has made significant changes to its Events feature, separating public and private events. So, when you do create an event, make sure that you create a public event, not a private event, unless you want to invite only a few select people. Facebook intends to make even more changes, and show more updates in your newsfeed when a friend RSVPs or joins a public event. They also display a drop-down list called “Related Events” that suggests other events that users may be interested in. Users will also be able to share events within the Facebook Messenger app and allow event hosts to chat with invitees from within the app itself. As a local business ,this is all excellent news for you, because hosting local events can now create lots of word of mouth awareness on Facebook. 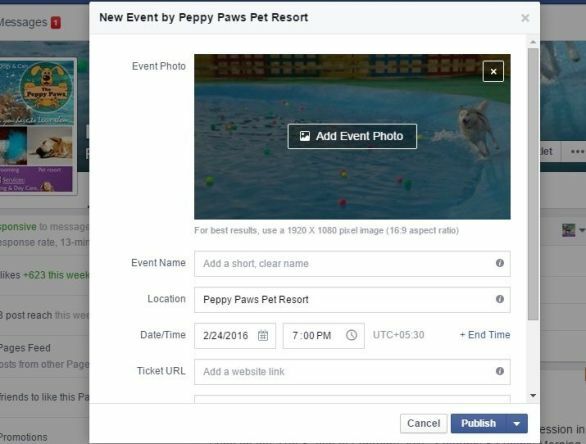 To create an event from your Local Facebook page, open a new status message and click on the Offer/Event+ link to display all the options available. Then click on the Event option. It will open up a popup to create a new event. Fill in all the event details in this popup, including the event photo, and save it. You can then modify the event by going to the event link and clicking on the edit button. You can also use advertising to boost your event and target a much larger audience than just your page fans. Facebook’s Place Tips are great way for local businesses to target walk-in customers with marketing messages. How does it work? According to Facebook, Place Tips gather useful information about a business or landmark – like posts from the business’ Page, upcoming events and friends’ recommendations and check-ins – and show it at the top of News Feed to in-store visitors. Businesses can write a customizable welcome note that appears at the top of the Place Tips feed and use it to promote items or share facts and tips about their establishment. The most reliable way for businesses to serve Place Tips is with a Facebook Bluetooth® beacon, which is a device businesses request from Facebook. 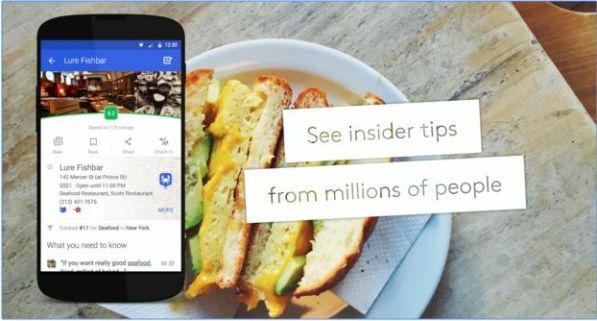 Beacons use Bluetooth to send a signal to the Facebook app on customers’ phones to show them the right Place Tips at the right place. Facebook is now providing free beacons to businesses in the US. Businesses using Place Tips have seen a steady increase in Facebook page traffic from in-store visitors. Instagram ads are now available to everyone, in both Facebook’s Power Editor and ad creation. To run ads on Instagram, you’ll need a Facebook Page. You can add an Instagram account to a Facebook Page you are an admin or editor on. Adding an Instagram account to your Page will allow you to create Instagram ads in Power Editor or Ads Manager without needing to connect your Instagram account to a Business Manager. Local businesses can use Instagram ads for a number of business objectives, including getting more video views, increasing page post engagement, sending traffic to their website or increasing attendance at an event. Did you know that Facebook and YouTube now offer native video creation tools? With the growing consumption of video on Facebook, video marketing on the social network is now essential to increasing engagement and responses. Here are some of the options Facebook offers when you click the link to upload a video via your status update. One of the most interesting options is to upload 3 to 7 photos to create a video slideshow that plays automatically as viewers scroll through their newsfeed. You can see here, an example of a video I created using this tool. Unfortunately, Facebook does not yet offer a way to add audio to your slideshow. To create your Business Story, you need to choose up to eight photos that represent your business, add an audio track and – Voila! – you have a brand new video that tells the story of your business. Since you only have a few photo choices to do this with, make them count. 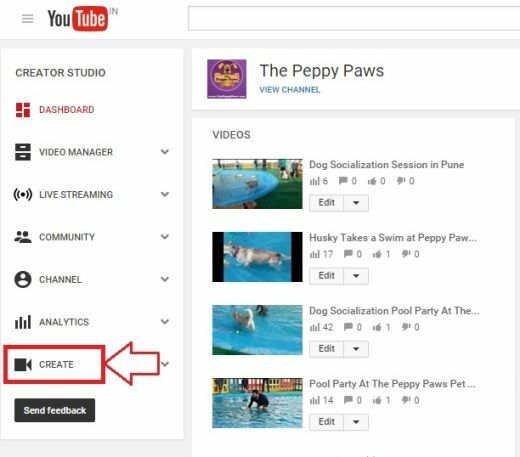 To create a video using YouTube’s video creator, go to your channel’s Creator Studio and click the Create link. Then click the Video Creator link. You’ll be taken to the Video Creator Dashboard that looks like this. Click on the camera icon to start adding photos to your project. Once you’ve added a number of photos (there’s no obvious restriction on this), you need to click on the plus sign on the right hand corner of each photo to add it to the timeline. The advantage of YouTube’s video creation tool is that you can also choose from a list of audio files to add an audio track to your video. You can also add a slide with a title to the timeline. This can be used to add a Call to Action to your video. Check out this video I created for a local business, using the YouTube Video Creation Tool. You can even download your YouTube video and upload it to Facebook, as I did. 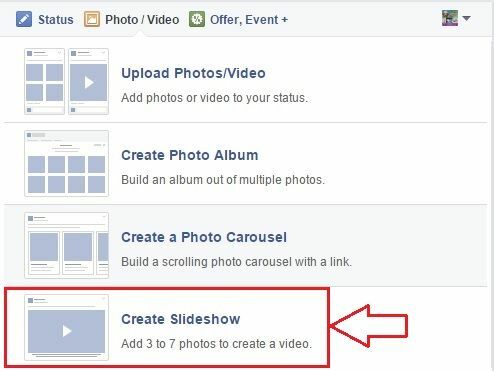 Now that you have created and uploaded your videos to Facebook, you can use them to create Facebook ads. According to Facebook, video ads on Facebook can raise more awareness of your business – helping to drive sales and get customers. Facebook recommends that you include a Call to Action button to encourage people to take action from your video. You can also track your video ads and use the video metrics within Adverts Reporting to improve your videos. You’ll see how many views your video had and which parts of your video were most engaging with the Audience Retention Graph. Meetup.com is one of the most underrated social networking sites. But it’s a great tool for local businesses to attract the right target audience for your products and services. If you organize regular events at your business venue, you would do well to create a Meetup Group for your city. 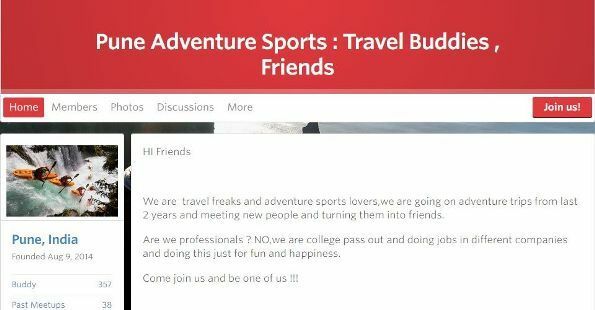 For instance, if you’re a business promoting adventure travel you can create a Meetup Group for fans of adventure sports. If you’re a business that provides pet grooming and boarding, you can organize a Meetup Group for pet lovers in your city. Meetup.com will promote your group to other people from your city, so you’ll get more signups and word of your business will spread. The idea of Meetup is to create community and networking in the real world, so make sure you are committed to having regular events for your group. Creating a Meetup group is not free. It requires a small investment, which is well worth it for serious business owners. For more detailed information, read my post on how to use Meetup.com to promote a local business. It’s easy to grow a targeted network of local followers on Twitter once you know how to use it’s advanced search function. Twitter allows you to refine keyword searched by location. According to AdWeek, it’s as easy as putting in a phrase that you think potential customers would tweet, entering your city in the “Near this place” field, and watching the tweets stream in. Use Twitter to get your business on the radar of the local influencers in your town by interacting with them and retweeting their content. They can help raise your Twitter profile locally. But one of the best uses of Twitter, is to monitor what is being said about your business and to respond to your customers, especially the unhappy ones. 22% people between the ages of 26 and 36 prefer to use Twitter for customer service support more than any other platform. If you are not providing customer support on Twitter, you might soon alienate a major portion of your customers, says the post here. 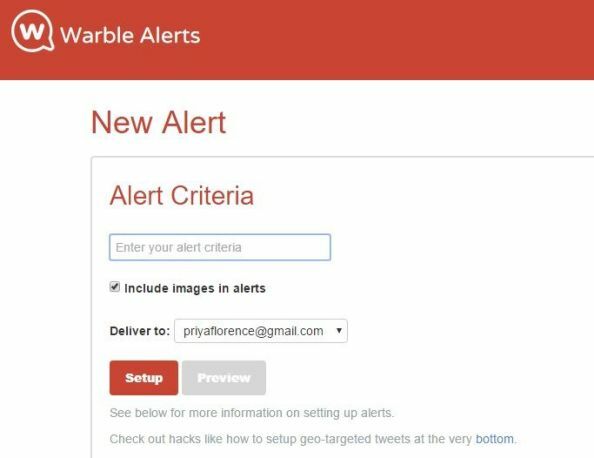 To do this, you can set up a Twitter alert for your business using a tool called Warble. Enter your Business Name as the alert criteria and you will receive an email every time your business is mentioned on Twitter. Use this tool to respond to customers or Twitter users who mention your brand and deal with complaints and negative publicity as soon as you learn of it. Local Marketing & Social Media Expert, Carlos Silva, recommends becoming a local Expert in your chosen market on LinkedIn, by focusing only on your target local market. Do local searches and make sure you appear in those search results, he advises. He also suggests searching for local groups in your industry and becoming an influencer in them, to create instant credibility and exposure. You can help people resolve their problems, messaging them privately and taking your online relationship offline. You can also create and promote localized events catering to that group or industry. Silva also endorses the use of LinkedIn Ads to target your local market. 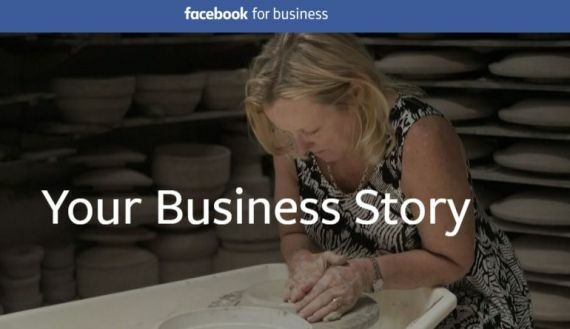 According to Kristi Hines, Facebook Professional Services is a local business directory inside Facebook, that helps customers find local businesses with the best Facebook reviews and ratings. People can use it to search for local businesses worldwide. As more businesses become savvy about their Facebook presence, the use of this directory may grow among Facebook users. As of now, customers can use the search box to find local businesses based on keywords specific to the products or services they need. They can also browse the top local business categories. 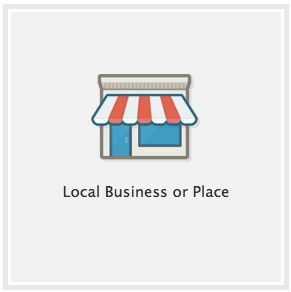 Basic information about local businesses, such as their description, address, phone number and ratings, is also accessible to users who search and browse the directory. Read the article here for more information on optimizing your Facebook page so you can be found in the directory. With social livestreaming going mainstream in 2015, companies are planning to livestream influencer briefings and product launches in 2016, among other activities. Starting a livestream for your Facebook fans using Facebook Live, can help you connect with your fans and foster authentic brand engagement, according to Kimberlee Morrison. For local businesses, Facebook Live can help you create a more intimate connection with your fans, while you promote your products, services and events on Facebook. Using a selfie stick, you can livestream events, showcase your successes, provide product demos and answer questions related to your field of expertise. As Mari Smith explains, Facebook Live lets you connect with your fans, friends and followers by sharing real-time video of what you’re seeing and doing. Once the Facebook Live video is on your wall, you can even go back and edit it. She suggests creating a video ad with a Call-To-Action from your Live broadcast. She also recommends repurposing your Facebook Live livestream by writing a blog post with some of the highlights and embedding either the Facebook post itself or just the video. Facebook has also announced that it is making a small update to News Feed so that Facebook Live videos are more likely to appear higher in News Feed when those videos are actually live, compared to after they are no longer live. People spend more than 3x more time watching a Facebook Live video on average compared to a video that’s no longer live. Before you decide to host a Livestream for your fans, however, read up on Facebook’s best practices for using Facebook Live. Foursquare is a free app that allows users to share location-based details about their activities, such as shopping or dining. It helps people discover local businesses, like restaurants, bars, boutiques and more. Over 50 million people use Foursquare to discover new places. Consumers leave brief tips and photos at their favorite local businesses to let others know what they love most at each place. You can listen to what your customers are saying and use Foursquare’s tools to join the conversation. You can also offer specials to thank customers for choosing to visit your business, write tips to tell people what they should know about your business, and use their analytics to learn more about the customers coming through your door. Foursquare Ads allow you to reach out to more local customers. As one of the first mobile check-in services, Foursquare remains very popular because of its fun, game-like features, quirky badges, and points system, writes Erik Folgate. He recommends you offer a “first-time” check-in special, and loyalty check-in every 3 times customers check in to the location. Diane Pierre-Louis has some more tips to help you use Foursquare to corner your market. More than a social network, Yelp is one of the more influential review sites for restaurants and other local businesses. Fortunes have been made and lost based on Yelp reviews. The most important thing you can do for your business on Yelp is to make sure your business listing is 100% filled out and your photo galleries are uploaded and available to users of the network. This article by Brian Casel on Social Media Examiner offers 7 ways to use Yelp to improve your local business. They include reading your competitors reviews, responding to your own reviews, tracking your metrics and analytics and advertising your business on Yelp. Including a strong geographic focus in your Pinterest marketing can help you create more visibility with people who live or are interested in your locale, writes Alisa Meredith. She recommends you enter your location and add more geographic cues, like mentioning what areas you serve or where your business is located, in the About You section. You can also include your town or state name in a board or two, as well as any applicable pins, she says. Using keywords strategically can help ensure your business shows up in location-centered searches. Jilly Badanes recommends spending some time learning about what your target audience is doing on Pinterest, who they follow, and what kinds of things they’re pinning. Engage with your local customers, business partners, or favorite local hangouts on Pinterest, sharing their content, and mentioning them, in the hope that they’ll notice and share yours. Create and share content that is useful to local clients and use Place Pins to create a board with your favorite local places. You can even create a Place Pin that includes a map, an address, and a phone number. You can also use Pinterest’s Promoted Pins option to target a local area, while tailoring your promoted pin’s content and keywords to each area you target. 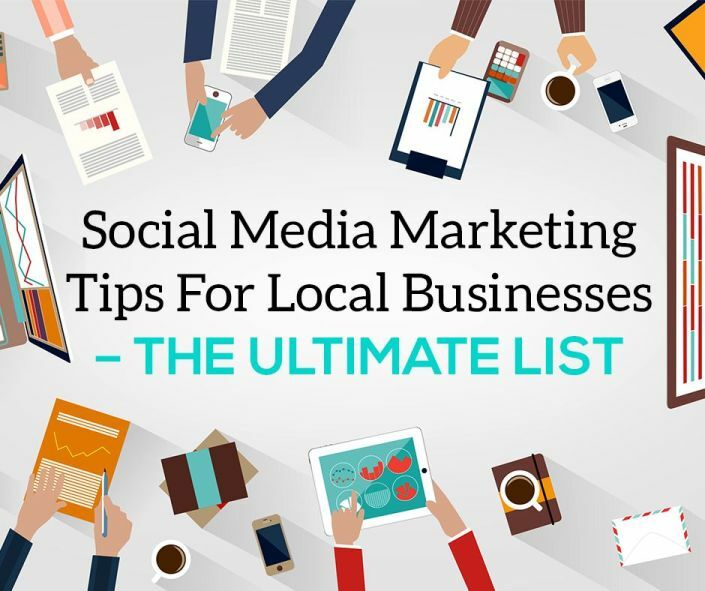 Did you find these tips on using social media to grow your local business presence useful? Do let me know in the comments below. Thanks for sharing really amazing post!